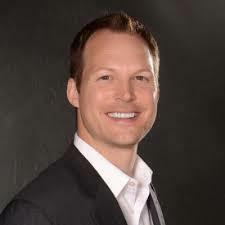 Cory Whyte will introduce Conrad Lindo who will tell us about First Things First, an organization that partners with families and communities to support the healthy development and learning of Arizona’s young children. 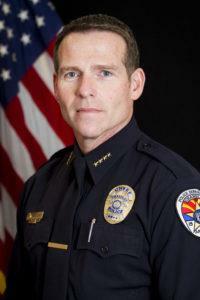 Chief Sean Duggan was appointed as the Chief of Police for the City of Chandler on January 13, 2014, after serving 27 years with the Scottsdale Police Department. He brought with him a wealth of knowledge and experience, having worked assignments in patrol, investigations, SWAT, and other specialties at levels from Officer to Assistant Chief. Chief Duggan graduated from Arizona State University with a Bachelor of Science in Justice Studies in 1985 and a Master of Science in Justice Studies in 1989. He is a graduate of the 227th session of the FBI National Academy, the 59th session of the FBI Law Enforcement Executive Development Seminar and the 39th session of the FBI National Executive Institute. Chief Duggan was selected to participate in the FBI’s Police Executive Fellowship Program in 2010 and was assigned to the National Joint Terrorism Task Force at the National Counterterrorism Center in Washington, D.C He served on the International Association of Chiefs of Police (IACP) State, Local, and Tribal Based Domestic Security Advisory Committee, 2010-2011 and the Committee on Homeland Security, 2012-2016. He presently is a member of the IACP Board of Directors. Chief Duggan is a member of the Arizona Association of Chiefs of Police, and past chairperson of the East Valley Chiefs of Police Association. In June 2015, Governor Doug Ducey appointed Chief Duggan to the Arizona Criminal Justice Commission (ACJC) where he serves as Chairperson. Under Chief Duggan’s leadership, the Chandler Police Department has made great strides towards becoming a world-class leader in 21st century policing by engaging the best trained, equipped, and committed professionals and by employing the best practices in policing. Chandler remains one of the nation’s safest cities with populations over 250,000 residents. 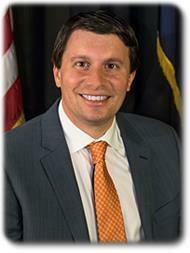 Chris DeRose is the Clerk of the Superior Court for Maricopa County. He is the New York Times bestselling author of Founding Rivals, Congressman Lincoln, and The Presidents' War. He was previously Senior Litigation Counsel to the Arizona Attorney General, trying 47 cases in front of the Court of Appeals and arguing twice before the state Supreme Court. A former professor of Constitutional, International, and Election Law, he was voted by his students as "Law Professor of the Year." DeRose serves on the board of directors of the Abraham Lincoln Association and scholarly advisory board for President Lincoln's Cottage in Washington DC. He was previously on the governing board of Phoenix Collegiate Academy, a high performing inner city charter school. He is married to Dr. Hannah DeRose, a radiologist. They live in Phoenix.